Gift-It-Forward strives to be environmentally friendly and does not print any physical invitations. However, if you would still like to print them, this option is available in the "View Invitation" page. Can guests donate after my party has happened? Guests may donate up to 14 days after the event, or earlier if the host closes the event before that time. After this, the system will close the event, and no further donations wil be accepted. Can I access my Facebook contacts? We wish you could! Unfortunately, due to privacy issues, Facebook has restricted us from directly accessing your contacts in your Facebook Account. However, every Facebook account has an email associated with it, so if you look up your friend's profile, click on the "About" tab, and you will find "Email Address". You can use this email to send them your Gift-It-Forward invitation! Once the event is saved, there can no longer be a change to the charity. Can I change my percentage to the charity? 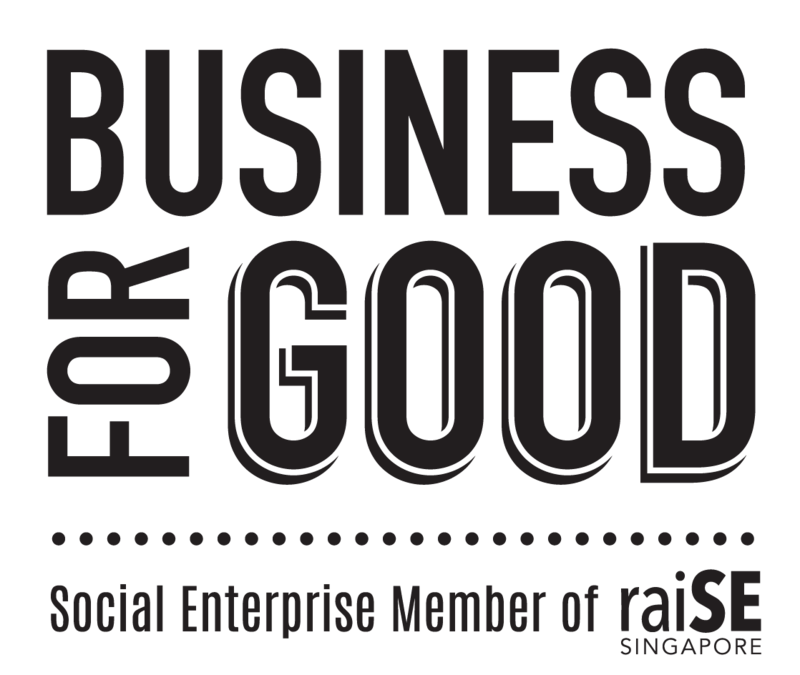 Can I choose a charity outside Singapore? At the moment, all charities that are supported are recognized as Institutions of Public Character in Singapore (a Singapore recognition of charities). While we would love to work with all the worthy causes outside of Singapore, there are strict regulations on how they are allowed to raise funds in Singapore and where the funds will be channelled. As such, we are still exploring how we can support this in the future, but sadly, we cannot support international charities currently. Can I choose a charity that is not on your website? Our partner charities are carefully curated and are supportive of our business. If you would like to include a charity that is not on our site, please contact us at hello@gift-it-forward.com and we would be happy to work with them in the future. They must be recognized as Institutions of Public Character (IPCs) in Singapore. Can I choose more than 1 charity? Each event is linked to one charity. You may host another event if you would like to support another charity! Can I close the donations before my party starts? We don't recommend this as we've often seen guests donate last minute. If you decide to do so, your invitation will no longer be visible to the guests so they may lose the details of the party (i.e. time, date, place). Can I see what my guests donate? Yes, you may see what your guests donate by viewing My Events. Can I send thank-you notes? Yes, of course you can. In the Invitation View, you may send messages to all guests who were invited, all guests who attended, or all guests who donated. Can my family from overseas donate/gift? Can my guests see the percentage that is going to charity? You may choose to make this percentage public or private when personalizing your event. Does Gift-It-Forward buy the gift I select? No, Gift-It-Forward will send you the funds after your event closes and you can use those funds to buy the desired gift. Does Gift-It-Forward organize my event? No, Gift-It-Forward is not an event organizer. We help you to manage your event and track your guests, but the party details are all up to you! There is no limit! Invite all your friends and family! I accidentally closed my event. How can I re-open it? Yes, just drop us an email at hello@gift-it-forward.com and we can help you re-open it. I have a party but can't access my account? You may email us at hello@gift-it-forward.com. Please check that you have entered the correct login and password (these are case-sensitive). No, this is for anyone! We have invitations for adult birthdays, baby showers, full-month parties, weddings as well! We will help you celebrate in a whole new way! My guests are not receiving my invitations. What's happening? First, check that the email address you are using is correct. If it is, then ask your guest to check their Spam/Junk mail folders as their mailbox and mark the invitation as "Not Spam" to ensure that this doesn't happen to any future emails from us. You may also resend the invitation to individual guests or to your whole list when you are in the Invitation View. If they still have not received it, you can send them a personalized link for their email address (so you can track RSVPs and gifts). In your invitation page, click on "Event Link", copy that (i.e. www.gift-it-forward.com/Events-Listing/Jonah-s-Panda-Party-(1)) and append the following "?email=EMAIL_ADDRESS_OF_GUEST", so that it would look like "www.gift-it-forward.com/Events-Listing/Jonah-s-Panda-Party-(1)?email=hello@gift-it-forward.com"
My guests can't donate, what's wrong? What are the fees for hosts? Gift-It-Forward applies an administrative fee of 15% on the total contributions received for each party. For a limited time, we will waive the PayPal charges a 3.9% of donations +$0.50 per transaction. To put this in perspective, this would be the cost of you buying traditional invitations, your time in writing and sending them, taking taxis to and from shopping. In addition, we save you time managing RSVPs, reducing toy clutter, and also help to teach your child about generosity! What happens after my party? After the event date, you may manually close your event by accessing My Events. This will signal to our team that you are ready to receive and distribute your funds. If you do not manually close your event, our system will automatically do so after 14 days. We hope that nothing serious happens that you need to cancel your event outright, but we understand, that things happen sometimes (e.g. sick kids, sudden travel). Are you postponing your event? You can change the dates of your event in the "Personalize Event" page. Otherwise, if you think your guests would no longer like to contribute to a gift, we will refund their donated amount less the Paypal charges. What if I don't have my guests' email address? If you have a Facebook account, you can look under your friend's profile in the "About" tab and look for their email. If you still don't have their email, you may print out a copy of your invitation and deliver a hard copy and ask that they reply by email and then send them an invitation directly. If you are really stuck, you can send them a personalized link for their email address (so you can track RSVPs and gifts). In your invitation page, click on "Event Link", copy that (i.e. www.gift-it-forward.com/Events-Listing/Jonah-s-Panda-Party-(1)) and append the following "?email=EMAIL_ADDRESS_OF_GUEST", so that it would look like "www.gift-it-forward.com/Events-Listing/Jonah-s-Panda-Party-(1)?email=hello@gift-it-forward.com"
What if I don't want to be a featured "Superstar"? If you do not wish to be featured on the Superstar page, simply leave the box unchecked when personalizing your Event Invitation. What if I'm in the middle of a session and have to leave? You must complete your event or you will lose your data. You will then have to restart again. What if my contributions don't cover the gift I want to buy? It's important to choose gifts that can realistically be bought with the donations from your guests (so don't go listing that sports car! ), or else you can let your guests know that their contributions will be going towards a bigger gift. Still, sometimes, the contributions from your guests may not entirely cover the value of the gift you desire. While this might be a little disappointing, the funds that you do receive can still go towards that gift, and you (or parent(s)) may just need to top up a bit to get that special something! When do I get my gift? Gift-It-Forward will send you the funds within 14 days after your event closes, and you can buy your gift anytime after that! We also recommend buying the gift to be wrapped at the event so everyone can see what they've contributed towards, and the funds will be sent after the event. You will receive the portion of your donated gifts within 2 weeks after you "close" the party. If you don't manually close it, it will be done for you within 14 days after your event date, and the funds will be sent to you within 2 weeks after that. Will my picture be displayed on the website? Only if you agree to be featured as a Superstar! You may leave this box unchecked when you are personalizing your event. Your photo will appear on your invitation though and can be seen by your guests. Yes, it is possible. If you are a registered tax payer in Singapore, and in most cases if your donation to the charity is above $20 SGD (for some charities, it is $50). Please tick the "tax receipt requested" box when making your donation, and enter in your personal details for the charity to issue the receipt. Do note that the gift amount will be different from what the charity receives from your donation as a portion of your contribution will go towards the administrative fee and the host's gift(s). Yes, you can make a donation through a Paypal account or by credit card (via the Paypal website). Can I print a gift receipt? Gift-It-Forward strives to be environmentally friendly and hopes you will be too! However, we do understand that some guests would still like to bring something to a party, such as a card. You may personalize and print a Gift Receipt after you make your donation on the My Gift page and enclose it in your card. Can I see if I have already donated? If you have already donated, you should have received an email from Gift-It-Forward, and from our payment partner, Paypal. If you have registered as a user, you can go into your account at the top right of the site My Account > Donations, and see the status of your gifts. If the Status is "Completed", your donation was successful. If the Status is "Payment Not Confirmed", then there was a problem with the payment and you can try again. Can my host see what I donate? Yes, your host can see what you donate. However, if you're really shy about letting your host know how much you are contributing, you may also make a donation as an anonymous donor. Can other guests see what I donate? No, other guests cannot see what you donate. When the host creates an event, they will choose how much of their donations will be going to the charity (50% - 100% of donations). It is up to the host whether they will share this percentage with their guests. In any case, your donation will be going to help your host get the gift they want AND support the charity they select! Yes, the payment gateway is secured with PayPal. How about a card with the gift receipt in it? Handmade cards are usually greatly appreciated! Because you've already contributed to the gift and helped your host support a charity, there is no need to bring another gift to the party! Charities will receive their portion of the donations via bank transfer or cheque at their request. In Singapore, charities are not allowed to receive payments through PayPal, so this will be a manual transaction. What are other ways to donate to charities? Yes, you may make donations to any of the charities through Giving.sg or check the charity's site for more details. What are the fees for charities? There are no fees charged to the charities. The administrative fee and finance charges are applied to the total donations before the charities receive their funds. The charities will receive the percentage of the balance of the donations that the host has allocated to them. What is the minimum percentage that goes to a charity? As we would like to make meaningful contributions to selected charities, the minimum percentage to be donated from an event is 50%, and maximum is 100% (meaning the host will not receive any donations). When do charities get their money? The portion of the donations for the charities will be available within 2 weeks of the close of the event. If the event is not manually closed, this will be done for the host within 14 days after the event date, and the charities will receive their portion within 2 weeks after that. In certain cases, Gift-It-Forward may have an arrangement with the individual charities to transfer funds only on a monthly basis, so they may only receive the funds in the next month. Do I need an account as a guest? No, as a guest, you are not obligated to register an account. However, we would still encourage you to so that you will be able to track and manage all the events you are invited to, and also host an event whenever you are ready to! Do I need an account as a host? Yes, as a host, you will be asked to register an account upon personalizing your event. This will allow you to view and manage your event. How long will my account be active? Your account will be active forever! (Or at least until you tell us to delete it) Hopefully you will use your account often, but even if you don't, your account will still be here until you tell us otherwise. To reset your password, click the "Forgot Password" link on the login page.